As we moved South into Austria, we hit the rain. It was inevitable I suppose, but dreary nonetheless. 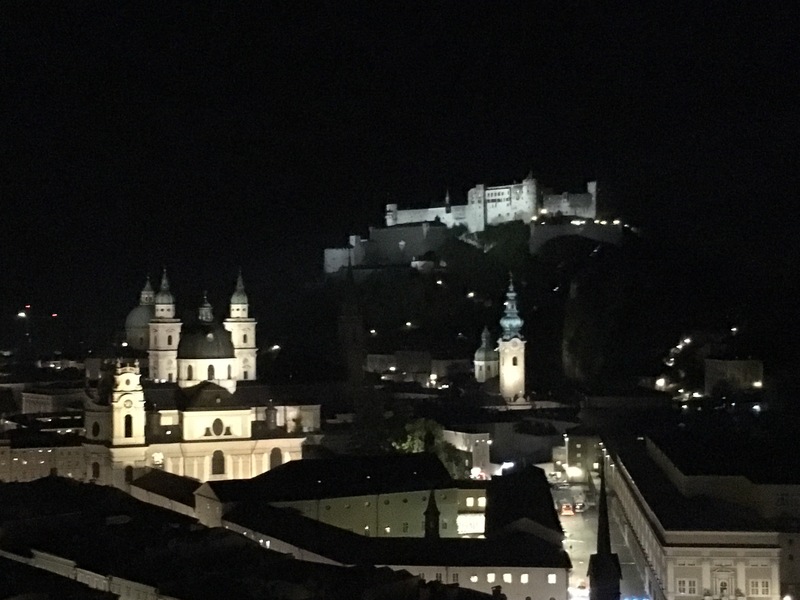 Our first evening in Salzburg was cool, but dry and we took full advantage of it. As it happened, we arrived in the city during their “Long Night” festival. It took us a while to figure this out. No one mentioned it at the hostel, and no one at any of the museums were helpful. 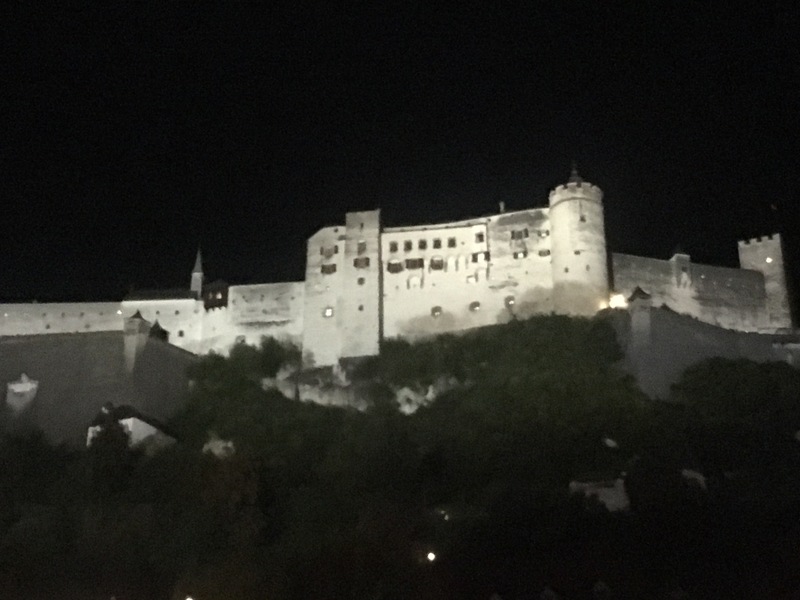 Everyone kept alluding to the fact that this was a “different” night, but not that it was a celebration of Salzburg’s 100th year in Austria. As a result, every museum in the city was open until 1:00am and for only 15 Euros you could enter every single one of them! So, after hours of being confused at why we couldn’t buy tickets to any of the sights, we finally figured it out. By 9:00pm we had bought our Long Night tickets and were ready to explore the city. It was a surreal feeling visiting tourist sights after dark. 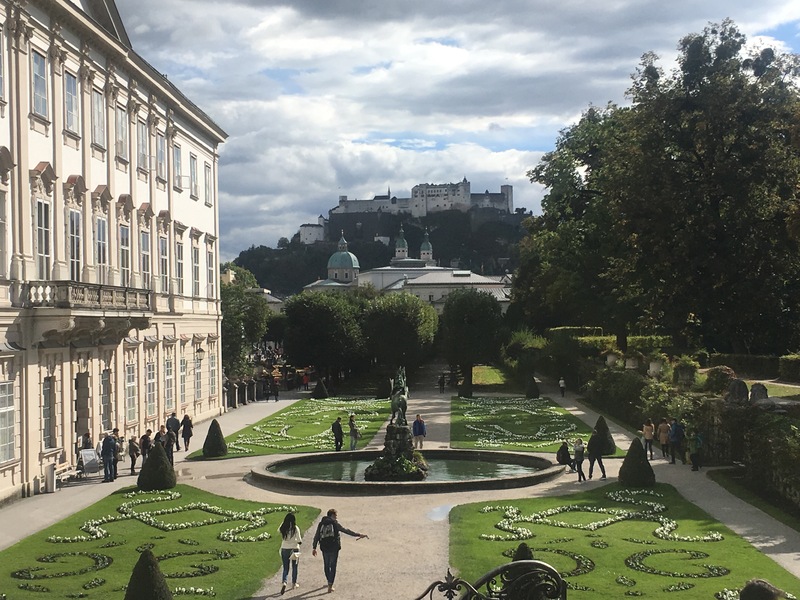 There are about 50 museums in Salzburg, and normally they all close around 6pm. But here we were, wandering around castles and cathedrals and library’s after hours. Some of the museums also offered special events. The Basilica had a huge hall decked out with high tables and fancy white table clothes. They served light snacks and champagne to the guests. A grand piano and a violinist were set up on one end of the room and played classical music all through the night. Everyone dressed up fancy (except for us of course) and moved from museum to museum in the dark. Personally, I found the castle the most impressive sight, especially in the dark. The castle sits on a hilltop overlooking the city. 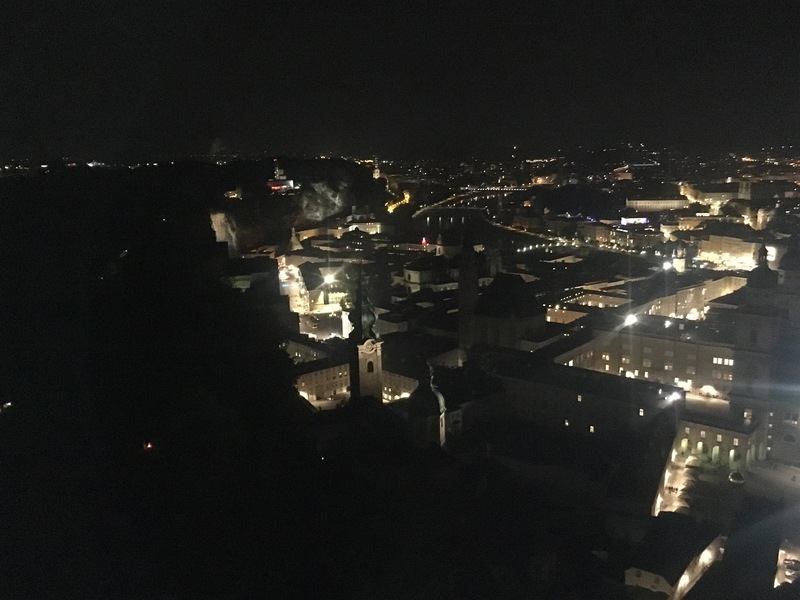 From the top you could look across Salzburg’s sparkling city lights. By the end of the night we’d completed all the major sights in the city and then some. And it was a good thing too! The next two days it poured and poured. The first serious rain we’d seen on the trip so far. It was a great excuse to stay in and work during the day, and to curl up and watch “The Sound of Music” with some tea during the evening. Sadly, the rain indefinitely postponed our plans to visit nearby Hallstatt and do some hiking around the city, but I suppose that’s a wonderful excuse to come back another time! 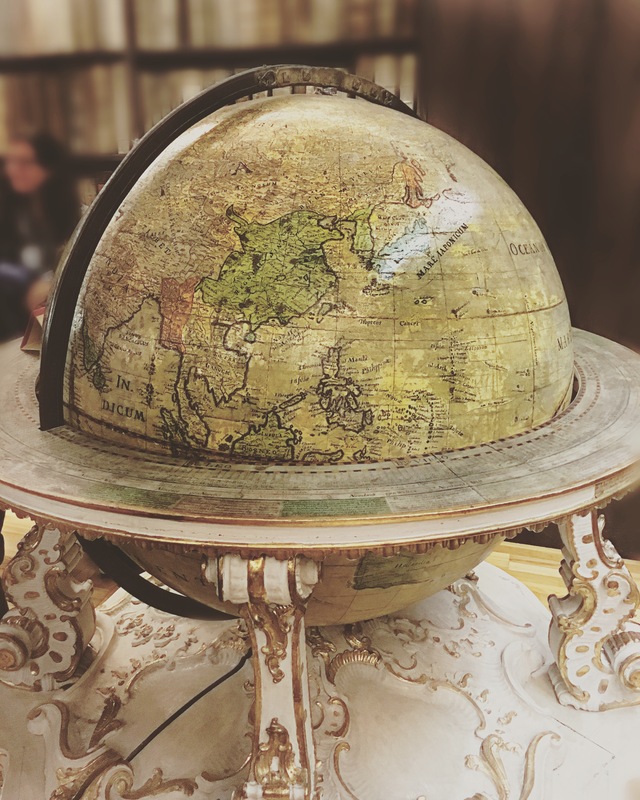 This entry was posted in Austria, Europe and tagged castle, long night, museums, Salzburg, sound of music, Travel by hilarylust. Bookmark the permalink. That is so cool! What an Easter egg to stumble upon the festival by accident.